It seems like everyone I know is either pregnant or has a infant/toddler. This coupled with the upcoming holiday season means that I’ll be giving a lot of gifts! Obviously my favorite kind of gifts to give are handmade. 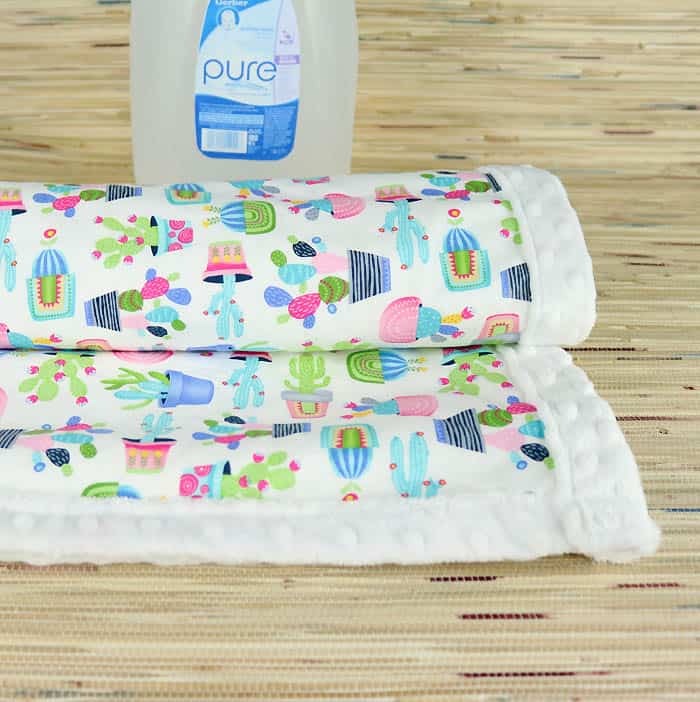 Today I teamed with up Gerber® Pure® Water to show you how to sew an easy baby blanket. 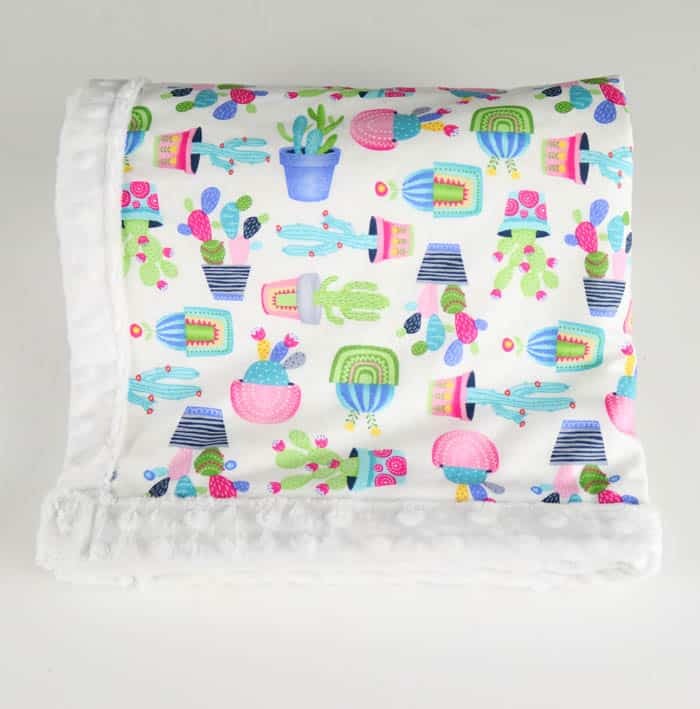 These baby blankets make great gifts! They’re also inexpensive and so simple to make, even for beginners. 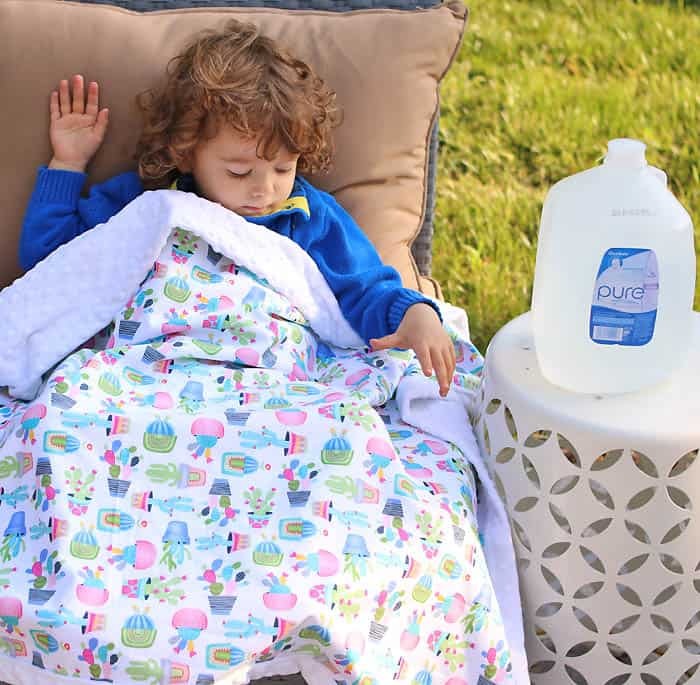 I like to pair these baby blankets with a basket full of essentials like Gerber® Pure® Water. 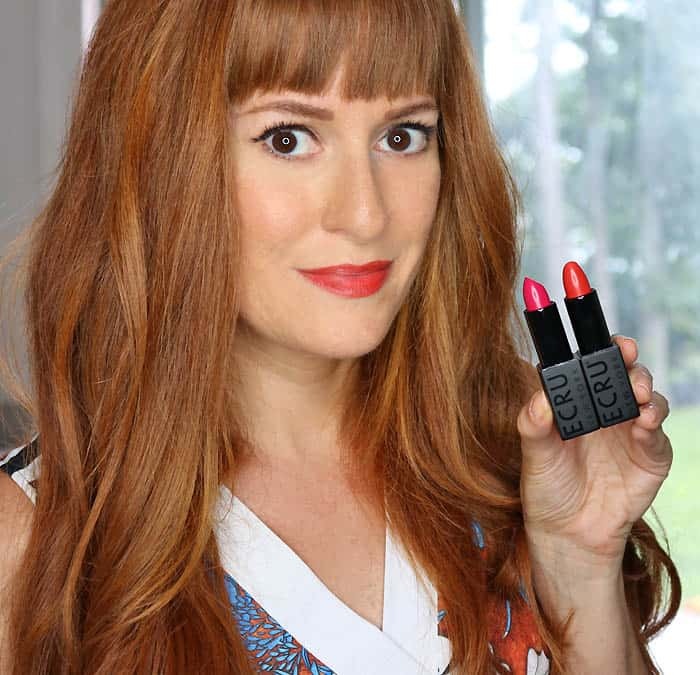 I’ve been using Gerber products since Indigo was born, so it’s a brand that I know and trust. It’s pure and simple water that can be used in infant formula or in cereal because Gerber® Pure® Water is specially purified for babies. 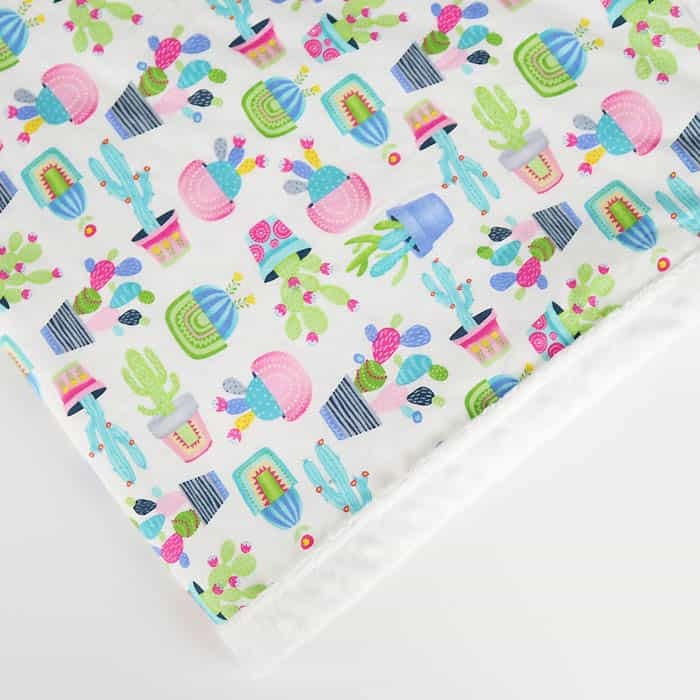 I like to use fun, unexpected cottons for baby blankets (how cute is this cactus fabric???). 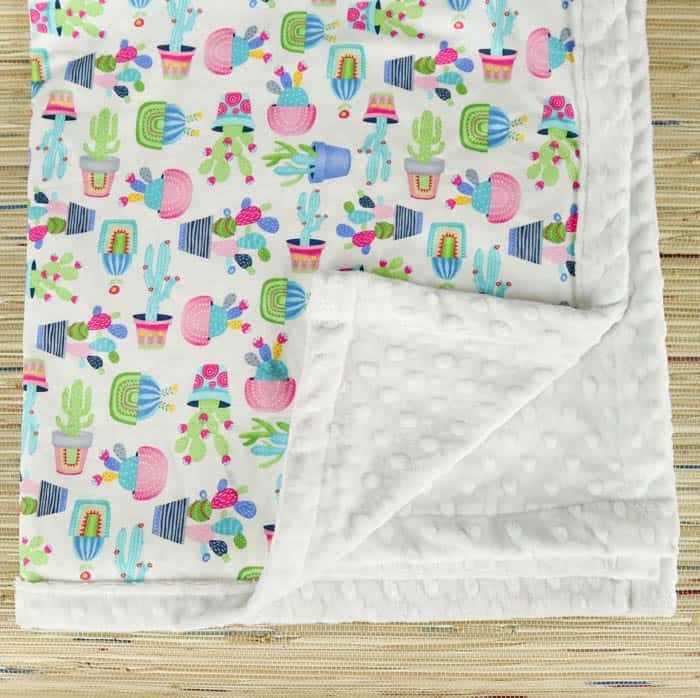 I prefer cotton quilting prints over the traditional nursery themed cottons. 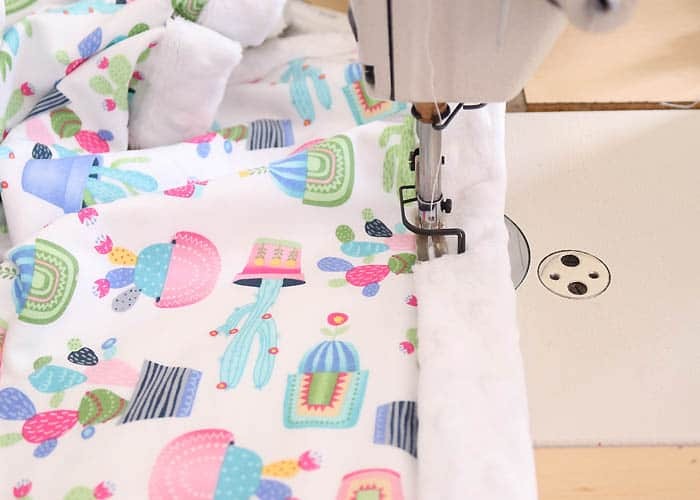 Cotton quilting offers a huge selection of great prints! 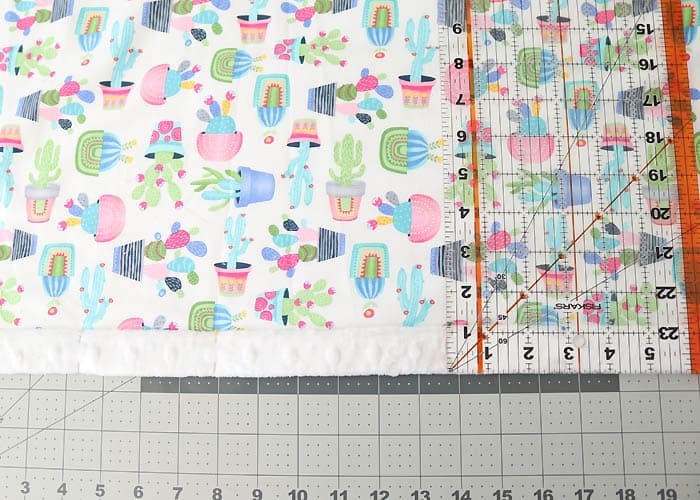 Cut 1 piece of cotton fabric that measures 42×36 inches. Cut another piece of minky using the same measurements. Place the right side of the minky down. Lay the wrong side of the cotton on top of it. Make sure all the sides line up. 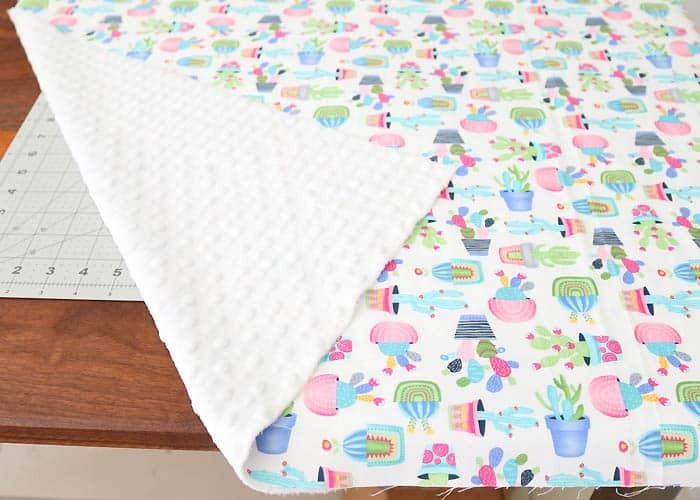 Take the edge of both the minky and the cotton and fold it over 1 inch. Fold it over a second time 1 inch. Use a ruler to measure across each section to ensure that the fold is even. Double fold all 4 sides and pin in place. 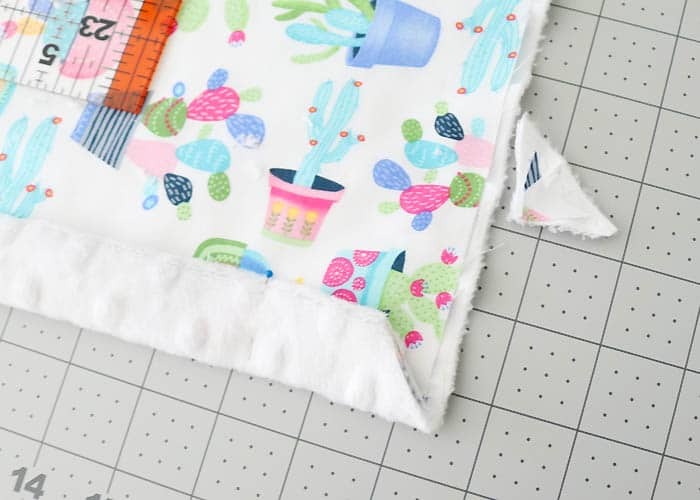 Sew around the 4 sides. 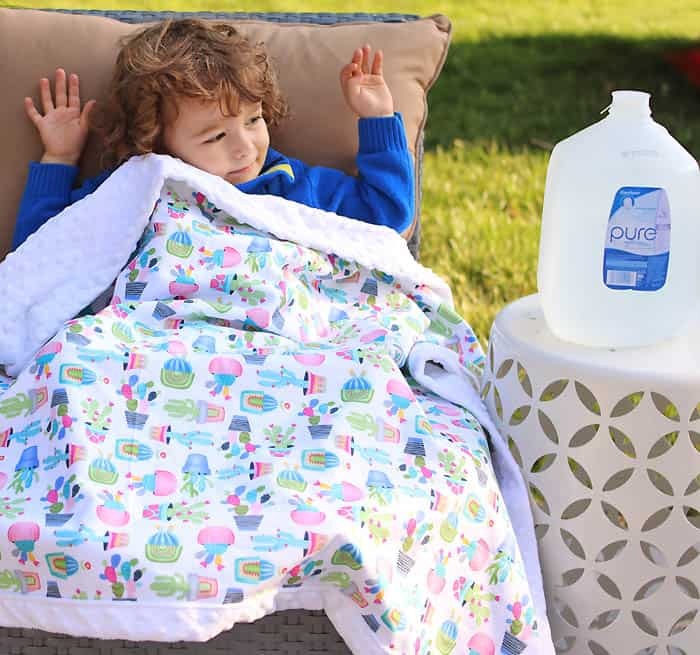 Gerber® Pure® Water is available at Walmart. 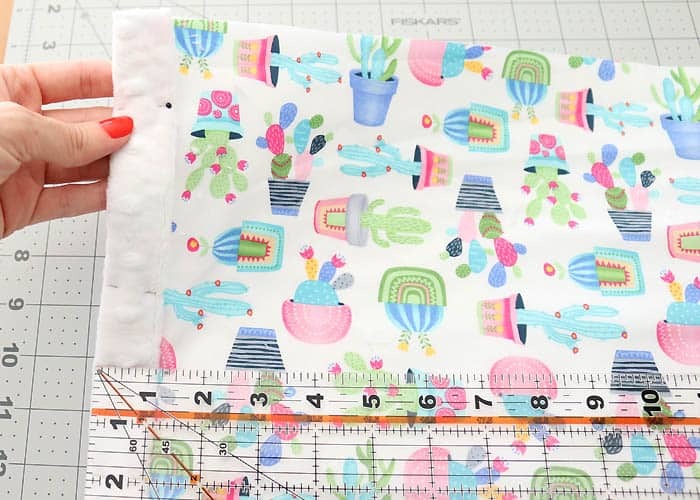 Walmart also has a great fabric selection- yay for one-stop shopping! 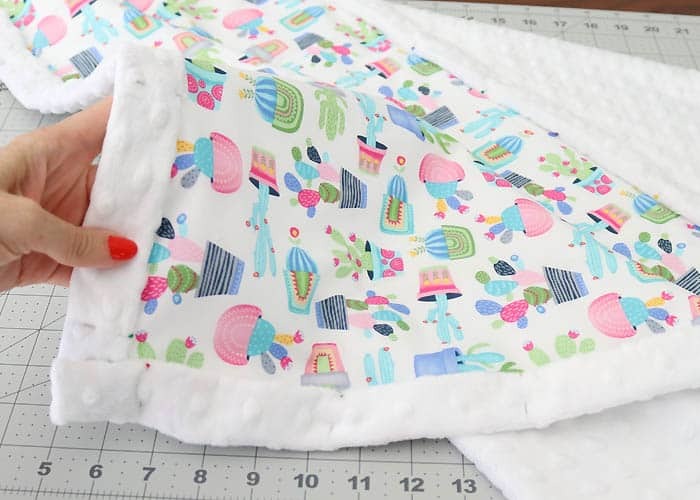 What are your favorite baby gifts to give? I’d love to hear!